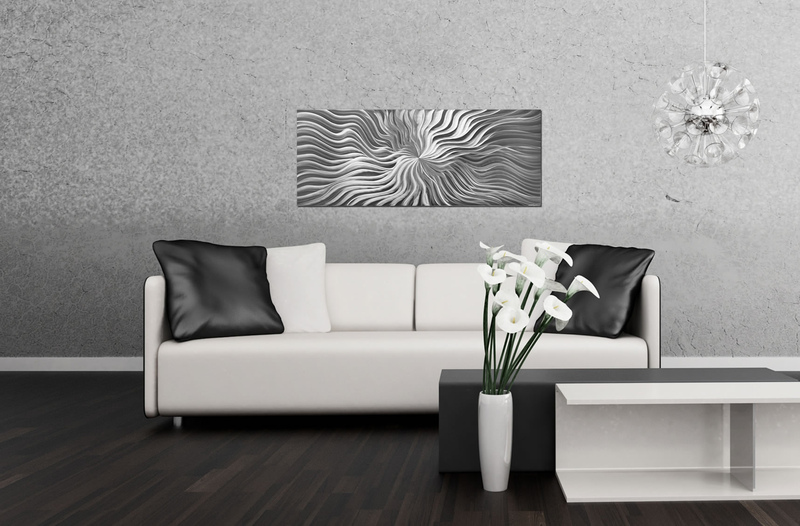 This is a very unique twist on modern metal wall art. 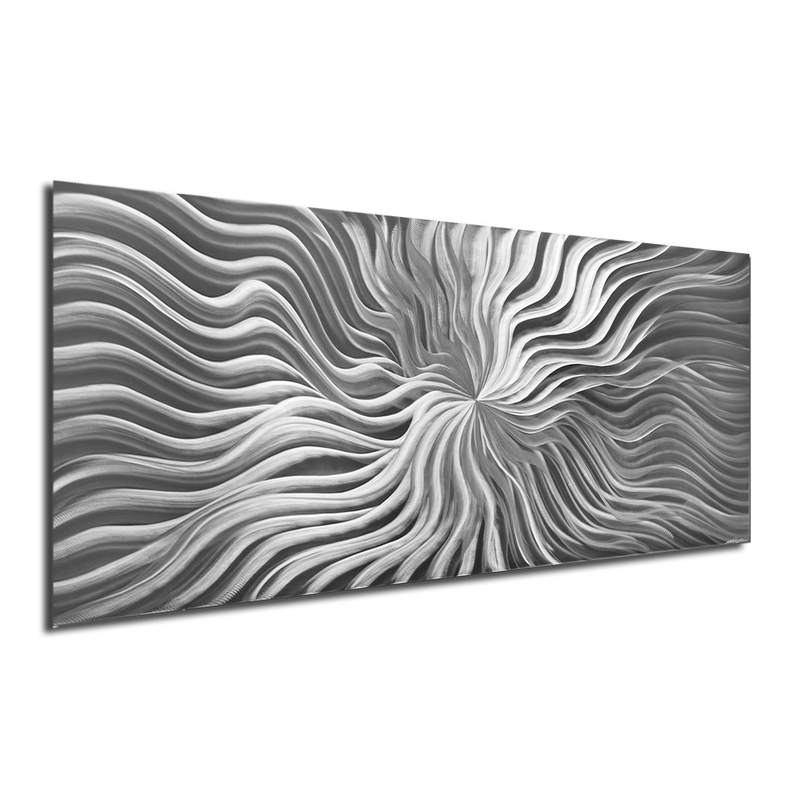 The artist begins by etching an intricate contemporary grind pattern in a huge wavy starburst design with a perfect central focal point on a metal panel. He then professionally photographs it in high-definition, and uses a digital acrylic printing process to apply the design to another sheet of metal with UV-cured inks. The result is an extremely versatile giclee style print with a satin-matte finish for indoor and outdoor applications.